In the Highly Competitive software Outsourcing Market companies are looking for ways to differentiate themselves in order to stand out from the crowd. When most IT outsourcing companies think of branding their business, they think about how to best appeal to their customers or target audience. The general goal is to create something that sticks in their minds and builds a relationship with the consumer. It is probably now becoming clearer that your brand will be just as important, if not more important, when approaching investors or banks to raise capital, hire and retain high preforming employees or when negotiating a deal with a vendor or a supplier since every one is looking to deal and associate himself with professional, secure, and stable companies. A strong brand can help you accomplish this and convey your stability in the marketplace. Creating your company's brand is one of the most important things that you'll do as a business owner. Whether you're starting a new company, or expanding an existing business, having a strong brand that represents what you do, conveys a professional and stable image, and builds a relationship with your target audience is essential to the success of your company. When most people think of branding, they think of customers, but they fail to see the impact that a strong brand has on all of the other functions of their business. Having a great brand that conveys that your business is stable and professional can contribute positively to your company on so many levels. Consider this: You're a banker or investor, and you get approached by two companies. The first sends you a pitch on plain paper, stuffed in a plain envelope and includes a business card that they printed on their home printer. The second sends you a pitch on company letterhead, has a unique logo, includes a business card that is well-designed and professionally printed, provides some professionally printed brochures and backgrounders on the company, and puts it all into a professionally designed and printed folder and envelope. Which company would you feel is more professional, stable, likely to engage successfully with consumers, and ultimately more likely to generate revenue? It doesn't just stop with investors and banks, either. Potential employees are more likely to want to work for a company that connects with them through a strong brand. Even vendors, who are selling you something, are more likely to be willing to negotiate extended terms or special agreements with a company that appears professional, established, and stable. 1) Find the right name for your company. A short name that conveys what you do is always the best. Try to find a name that allows you to secure its .com domain name. Also, always make sure to do a little bit of research to ensure that the name you want to use isn't already trademarked or in use by another person or company. 2) Have a logo professionally designed. Your logo is the centerpiece of your brand and will appear on everything from business cards and stationery, to apparel, to your building and signage, so it's not worth skimping here. An exciting trend in logo design is online logo design companies. In the past, it would cost thousands or tens of thousands of dollars to have an ad agency design a logo for you. Today, through the internet you can find several companies who offer logo design for less than $800. Before choosing a logo design company, look through their portfolio and make sure that you like their work, then contact a few previous customers to make sure that they were satisfied with the results. 3) Create brand guidelines. Most people have never heard of brand guidelines, but they are so important to a strong brand. For a small business, brand guidelines can be as simple as a 2-3 page document that describes what colors your logo should appear in, what fonts your company uses on documents, signs, and brochures, what size your logo should be with respect to its page, what tagline should appear with your logo and where, what format brochures should use, what signage should look like, how employees' e-mail signatures should appear, and other basic brand guidelines. The goal here is to create consistency across all of the different types of media your brand will be seen on. 4) Have stationery and brochures professionally designed. Many business owners are tempted to create their own stationery and brochures to save a few dollars. Most of the companies that do online logo design also do stationery and brochure design. This investment is well worth it and will really help to convey a unified and professional image for your business. I recommend creating your brand guidelines first because you can then send these guidelines to the designer working on your stationery and brochures so that they'll conform to your newly-created brand standards. 5) Get everything professionally printed. On a per-page basis, it is usually no more expensive for you to hire a professional printer than it is to print things yourself. However, the results are much different -- collateral printed by a professional printer looks, well, professional! This is very important to building a strong brand. 6) Get a web site and domain name. Have a web site professionally designed and hosted on your own domain name. Business has shifted from being done using phone books to being done online. 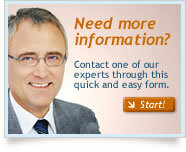 Accordingly, your web site will in many cases be your first contact with potential customers. Invest in your web site accordingly. 7) Buy a phone system and get a phone line for your business. It used to be expensive to buy a phone system, often costing tens of thousands of dollars. Now, you can buy simple pre-configured phone systems with an auto-attendant for less than $1,000. Use the auto-attendant and have someone that you know (not yourself), with a professional-sounding voice, record the greeting and prompts for your phone system. This is another easy way to maintain a level of professionalism that your customers and investors will expect to see in a stable business. 8) Invest in public relations. One of the most important things that you can do to gain credibility for your business is to get third-party validation of your business or concept. The best way to accomplish this is through public relations. Once you get your company featured in a few articles, you can show these to potential clients, investors, and vendors, helping to further solidify your company's brand and position in the marketplace. Hiring a PR firm for a small business or startup can cost as little as $3,000 per month, and is well worth the investment. 9) Remember, it's never too late. If your existing small business doesn't have a stellar brand, remember that it is never too late for you to rebrand your business using the above advice. If you decide to rebrand, make sure that you try to roll out your new brand all at the same time instead of peice by peice. This will help to generate excitement surrounding your new brand and will avoid creating a disparetely branded company image, consisting of stuff with your old logo and stuff with your new logo.